Jupiter Magnetics Private Limited is the only name you need to consider for buying the best magnetic coolant filter because we have a great reputation among our clients for serving them the reliable products without emptying their wallet. We have even earned the reputation of one among the trusted Magnetic Coolant Filter Manufacturers in Delhi. Our offered range is designed to keep in mind the requirement of different applications for removing the fine ferrous material from a coolant flow. What Makes Magnetic Coolant Filters Better? They are available in varying capacities which make it easier for users to pick an appropriate size, design and model. They ensure an accurate grinding process. 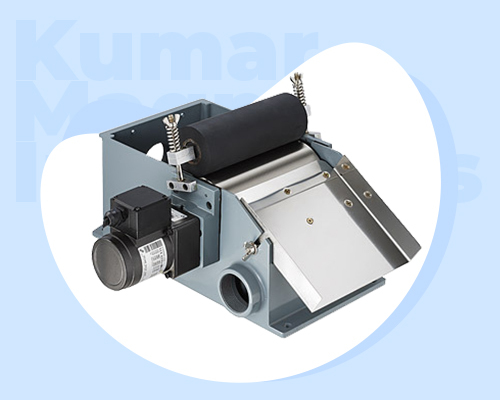 Kick-out all the fine ferrous material and hold all the waste at a single place. Ensure a better life of the coolant. Guarantee optimum extraction of contaminants. Collect all the waste into a bin to minimize the clutter. Because of the deep magnetic field, it’ll ensure fuss-free application. Our name has gained immense appreciation among the most demanded Magnetic Coolant Filters Exporters and Suppliers in India. Send us your enquiry with all the requirements you have and our executives will get back to you in no time.